Russia has reduced gas supplies to Poland by 45%, Poland’s state gas firm PGNiG says, amid tensions over Ukraine. The news came just hours after Poland stopped providing gas to Ukraine through “reverse-flow” pipelines. The Russian gas volumes were 24% lower on September 9 and 20% lower on September 8, according to PGNiG. That shortfall prompted Poland to halt reverse-flow. Poland and Ukraine rely heavily on Russian natural gas. Russia is in a pricing dispute over gas with Ukraine. Some analysts believe Russia, which stopped gas supplies to Ukraine in June over the pricing dispute, is punishing Poland for sending gas to Ukraine. Ukrainian forces have been fighting pro-Russian rebels in eastern Ukraine since April, after the separatists declared independence in two regions. Russia has denied arming the rebels and sending soldiers across the border. On September 10, Russia’s state gas monopoly Gazprom denied Poland’s allegation that it had reduced gas supplies. “Currently exactly the same volume of gas is being delivered to Poland as on previous days – 23 million cubic metres daily,” Gazprom said in a statement quoted by Russia’s RIA Novosti news agency. Hungary and Slovakia pump much more gas to Ukraine than Poland via reverse-flow, but they have not yet reported a significant drop in their supply from Russia. Earlier this year Gazprom and President Vladimir Putin warned of consequences if EU member states went ahead with reverse-flow deliveries to Ukraine. Vladimir Putin argued that such deliveries would undermine existing gas contracts with the EU. 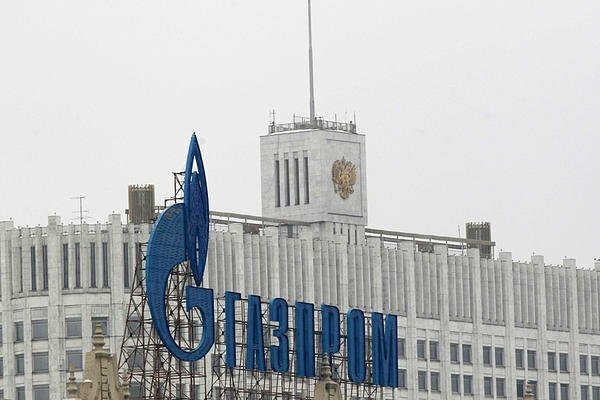 The Russian business daily Kommersant reported that this week Poland asked for extra Russian gas supplies because of a cold snap, but Gazprom refused, saying it did not have enough gas to pump into Russia’s underground storage tanks.